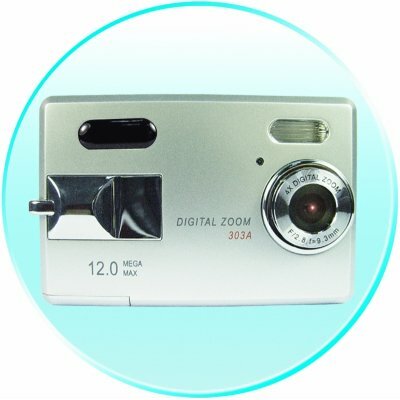 Successfully Added Digital Camera, 12M Pixel, 2.0-inch LCD, 32MB Int.Mem to your Shopping Cart. Outstanding looking, easy to use Digital Camera. This product is packed with features including high quality digital recording with zoom function, 16MB internal memory and external SD/MMC, and incredible 12Mega Pixel via interpolation for a low wholesale price. Note on Interpolation: Please note that this camera takes images in sizes equivalent to 12.0 megapixels. This is through a software resizing process on the camera called interpolation. The image sensor of this camera has a native resolution of 3.0 megapixels.